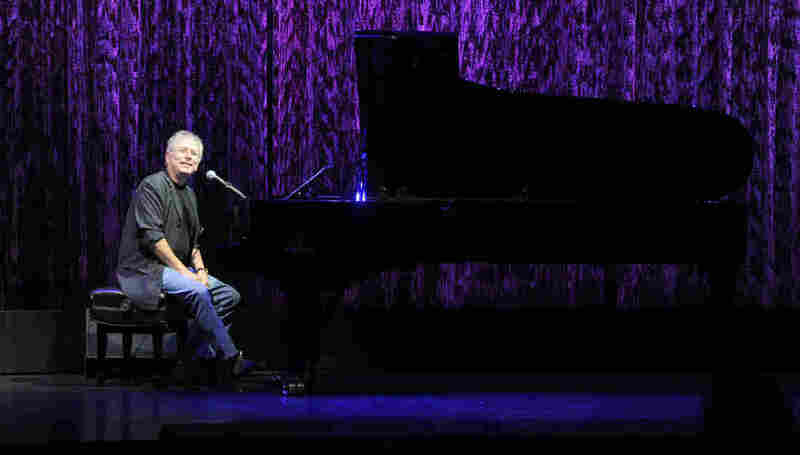 Composer Alan Menken On His Disney Tunes: 'I Prefer Them To Be Hummable' Menken scored The Little Mermaid, Aladdin, Pocahontas and many other Disney classics. He recently wrote three new songs for the live action adaptation of Beauty and the Beast. Emma Watson and Dan Stevens star in Disney's new live-action adaptation of Beauty and the Beast. 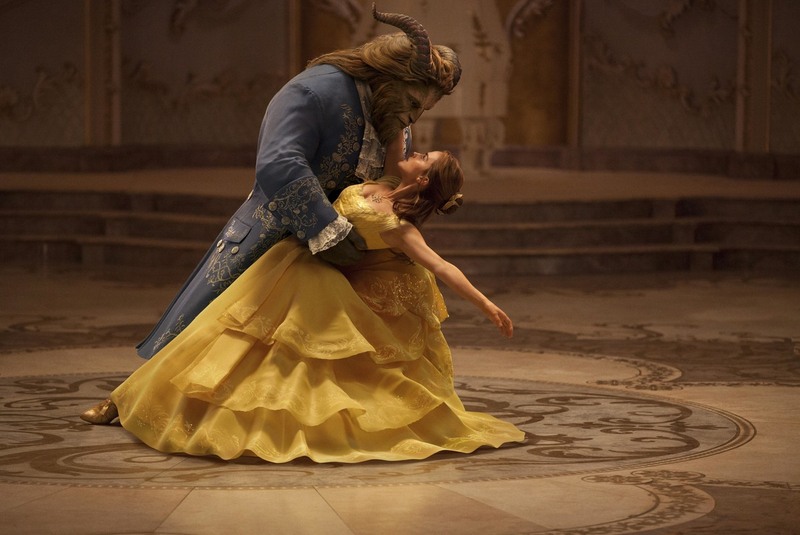 A new live action 3-D version of Beauty and the Beast opens Friday. For the 25th anniversary of the beloved animated version, the studio is re-telling the story with real people — Emma Watson and a cast of famous voices. They've kept the old songs, and added some new ones. Menken wrote three new songs for the live action version. When Menken's writing for Disney, he says he's trying to move the story forward through song. "Songs should have an infectious melody and rhythm," he says. They "should elicit an emotion, of happiness, or of celebration, or of sadness, or of sorrow, or of love, or of laughter — whatever." "It's new music, but it really isn't new music," says Tim Page, a Pulitzer prize-winning music critic, who is now a professor of music and journalism at the University of Southern California. Page points out that there's always something familiar about Disney songs. "I think the whole idea is to make the viewer feel very comfortable, almost like slipping into a warm bath," he says. "It's just the same sounds, the same vibes. Again, not the same melody, but it's a situation where everything is combined for a comfort feeling." Hardworking Menken reaped plenty of comfort and reward — the awards cabinet in his studio holds eight Oscars, 11 Grammys, seven Golden Globes and a Tony award. The Oscars were sometimes for Best Song and Best Score. And the music keeps coming. He's about to work with Lin-Manuel Miranda on a new live action version of The Little Mermaid. But a new job doesn't send the 67-year-old Menken racing to the piano. First, he needs lots of information: What's the story? Who's the protagonist? Where would a song fit? What's the reason for singing? "Where does it start and where does it end, and what's the title and what song might it remind us of? ..." Menken asks. "A million questions and only then will I sit and ... start to play the piano." Menken's musical chops were developed off-Broadway. He and lyricist Howard Ashman's success with the 1982 comedy rock horror musical Little Shop of Horrors got Hollywood's attention. But when he first started working at Disney animation, he had some reservations. "I can't tell you how many people said to me: Ugh, man, take a powder. Nobody takes animated musicals seriously," he recalls. Menken and Ashman's first musical film — The Little Mermaid animation in 1989 — was a life saver for Disney. It lifted the studio out of a slump, and led to more big hits. "That was a song we lost, and it was a beautiful song, I thought," he says. But it just didn't fit, so it hit the cutting-room floor. For most of his career, Menken has written keepers. And, dubbed a Disney Legend in 2001, he understands the power of the films he helps to make. In some very dark days — the death of his longtime lyricist Howard Ashman, and other friends — he'd sit with his young daughters and watch old animated films. "It was the only safe space I could be where it just felt," he says. "I went back to being a child, in a magical way. I couldn't get there with Saturday morning cartoons or a traditional Hollywood movie, necessarily. But there's a primal thread in the Disney animated art that just lands. And, I felt it as an adult. I still do — it's powerful." It's a pretty sure bet that a new generation of children will grow up knowing Menken's songs from the new Beauty and the Beast. Just as they know, so well, his '80s and '90s classics. Radio producer Danny Hajek and web producer Beth Novey contributed to this report.